Hi there, this is Eva, and I have a pretty fall related card to share with you, since the season is here. This week's challenge is anything goes, so I figured, it's perfect time for this. To create this card I started with an A2 size card out of black card stock, than cut a smaller sized patterned to fit on it. Next I die cut a Royal Scandinavian Doily out of black card stock and backed it up with the same size patterned paper. Next I die cut a Curved Border Set out of red card stock and added it the bottom and top of the patterned paper and added my doily. 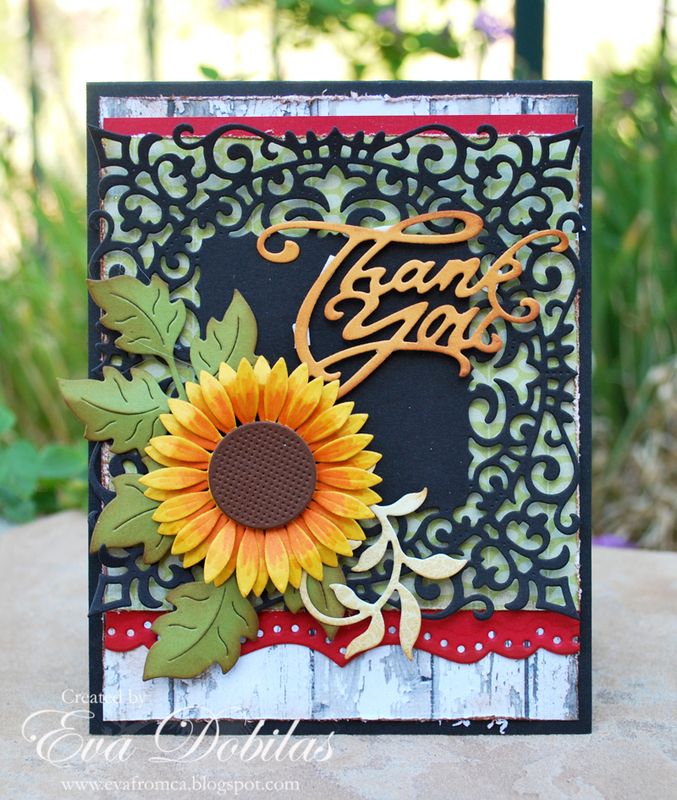 Next I die cut two Sunflower dies and colored the flower petals in. I die cut a Flourish #14 and a Leafy Flourish and added it to my flower. 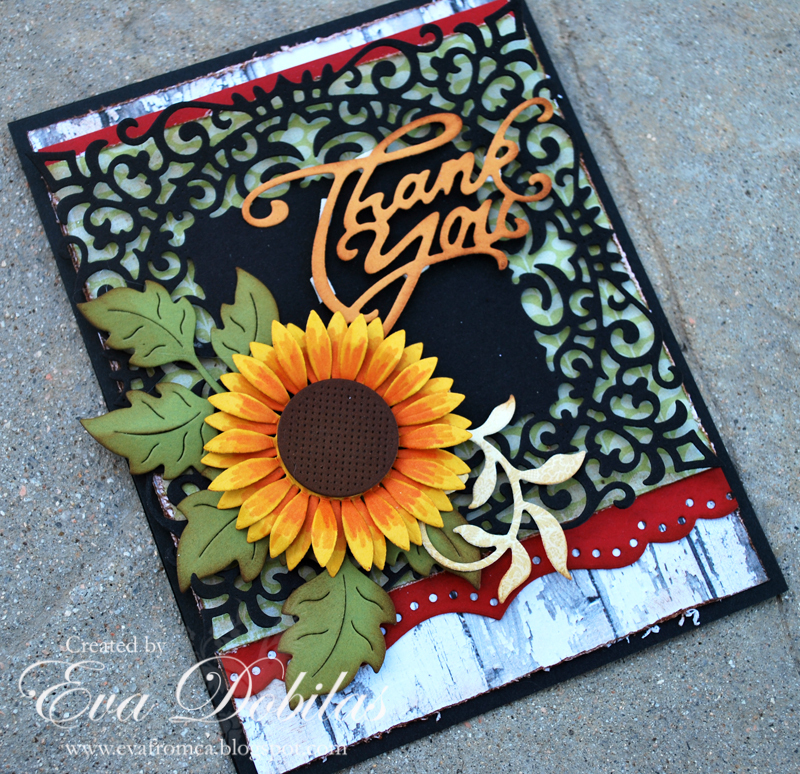 Finally I die cut a Thank You #2 sentiment and added to my card front.